If you ever get back, neck or shoulder pain, stiffness, or sore joints, if you ever feel uncomfortable in your own skin, or you’re simply interested in learning how you can move with greater ease, this class will teach you how to access a greater sense of ease and freedom in your body, in your work and in your life. 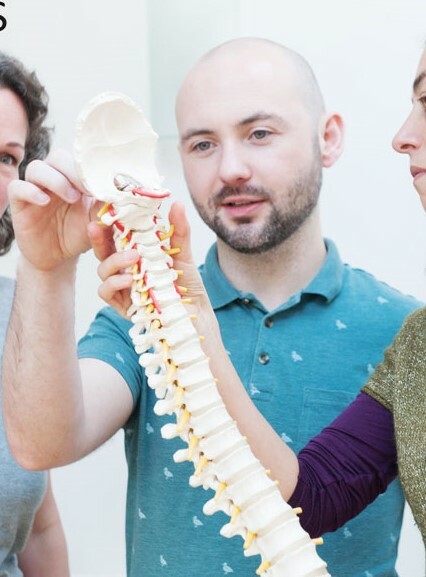 Rediscover a sense of lightness through a series of simple, practical demonstrations, drawing on principles from the Alexander Technique, Functional Anatomy, as well as developments in Medical Research and Neuroscience. You ever feel stiffness, pain or strain while bending, sitting, walking, standing, working, driving… or pretty much any activity you can think of. You ever worry that wear and tear, injury, pain or lack of mobility threatens your future health. You would like to learn a simple way to prevent, reduce and eliminate stiffness, pain and strain, and improve how you move in any activity. The class will focus on the issues that you want to explore. Just bring your curiosity and an openness to learning. Learn how to prevent, reduce and eliminate strain or injury in work, play and life in general by changing how you move and think about movement. Simple changes you can use right away to reduce tension and strain and increase your freedom of movement. How to uncover and change the underlying causes of strain, pain or injury. Andrew Monaghan has been teaching Alexander Technique & LearningMethods since 2009. As a former chronic pain sufferer, he has an interest in helping others find relief from physical discomfort. Further explorations – applying what you learned to the issues you would like help with, e.g. while sitting, standing, balance, etc. Once you have completed the form, scroll down to pay your deposit (payment required for all bookings). If for any reason the class is cancelled, your payment will be fully refunded. Please give advance notice of cancellation. Since group classes relies on participation, refunds are unavailable for cancellations 5 days before the class.